Its easy for things to get moved around, cluttered and left out throughout the day. With busy days and just getting caught up in life in general, it is quite easy for this to happen daily. However, in order to keep a straightened household you’ll need to go room-to-room and de-clutter. Enforcing a 10 minute pick up rule daily for yourself and your household will alleviate the build up in your house and reduce the time it takes to clean your house in the future! What is it? A simple, non complex rule that even your young children can follow. 10 minutes of a quick brush through the house twice a day (morning and night) picking up out of place personal items and putting them back where they belong (make it easier for yourself – get a big bucket or container to make carrying items to and from less hectic). You can even make it a fun challenge for everyone by setting a timer, the trick is to only spend 1-2 minutes in each room. Less clutter = Less challenge for the cleaner! You will find cleaning less of a challenge when things are neat and in order. 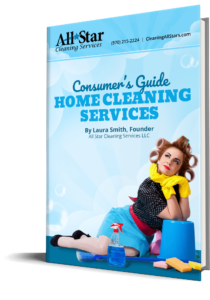 You will be focusing on the cleaning with less distractions in your way, making it more of a breeze. If you have hired housecleaning help having a picked up, organized home will likely save you some money too! The most important part of the pick up rule is setting aside some time. If you constantly tell yourself you don’t have the time to squeeze at least ten minutes out of your day then you may find yourself in a house that is constantly cluttered.